High impact stainless steel mesh filter screen rated at 100 Micron. 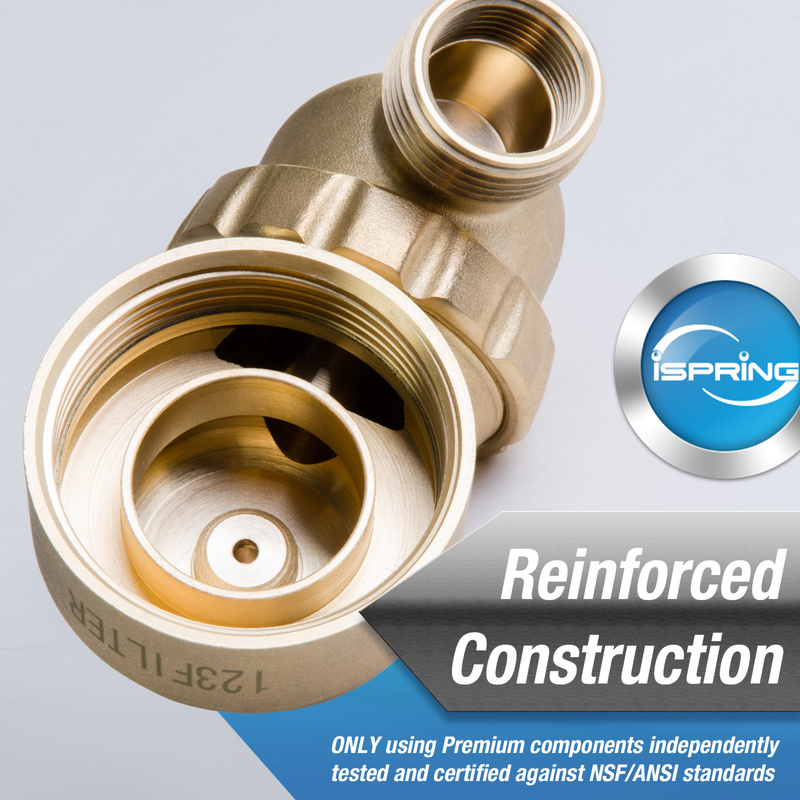 Double threads on both ends: 1inch MNPT and 3/4 inch FNPT, 1/4" flush out fitting included. 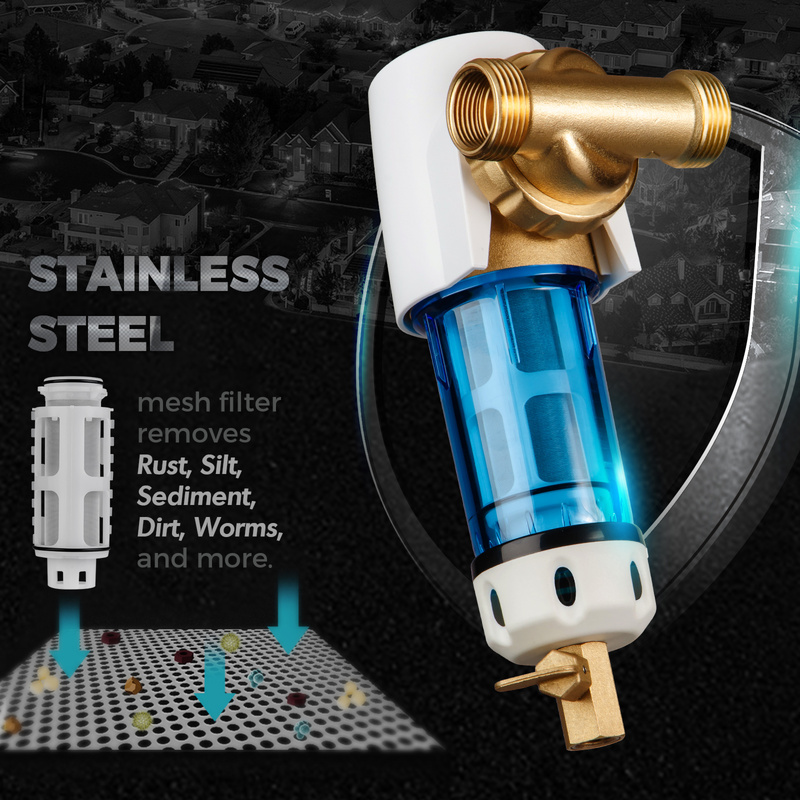 Flushable and reusable, takes considerable workload off finer filters that follow behind it; helps create a multi-layer gradient filtration system for better filtration results and longer filter life. System can be installed in any direction thanks to the 360° rotatable head connection. 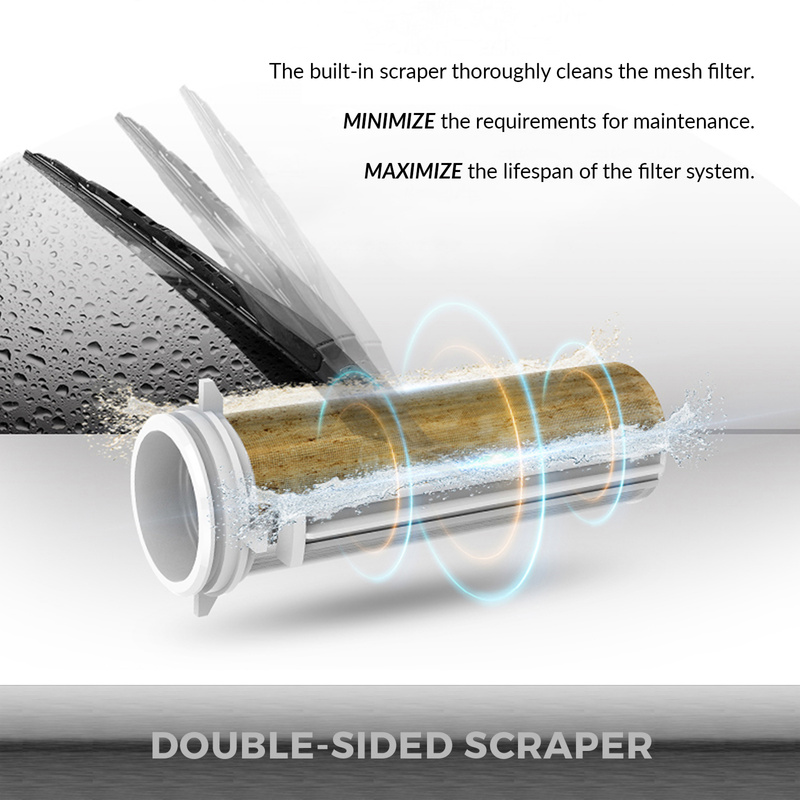 The steel mesh filter cartridge and housing can be easily cleaned by rotating the scraper, saving time and effort on routine maintenance. 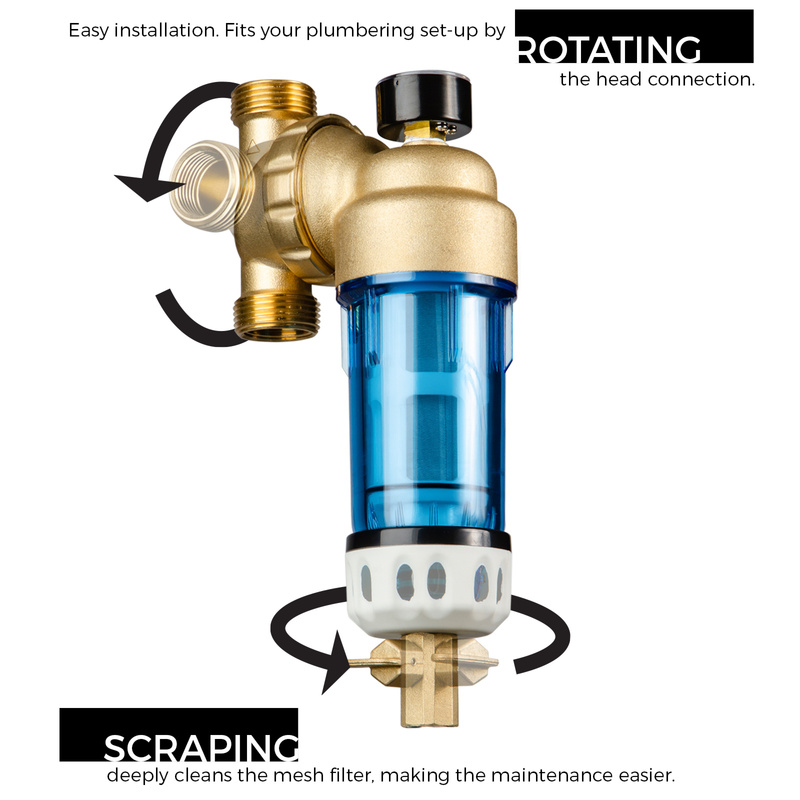 The WSP series spin down sediment filter is the first line defense to your appliances. 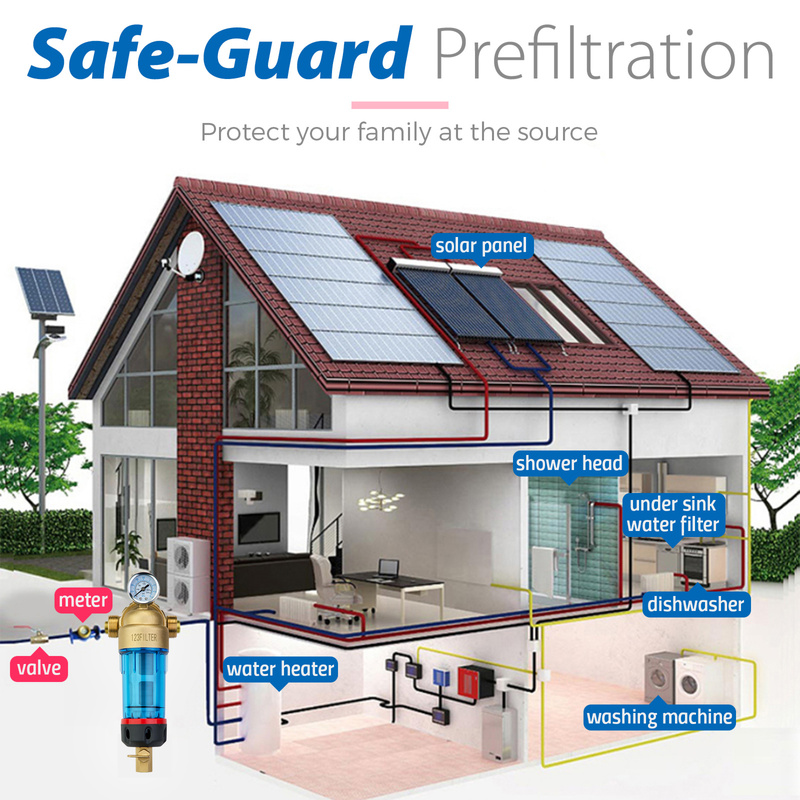 It protects and extends the life of your standard filters by removing the large dirt, sand, and rust particles before they reach the rest of your plumbing system, including water softeners and expensive appliances. The WSP series is flushable and reusable. It is recommended to flush it regularly (daily or weekly), depending on the water usage, sediment amount and the hardness level. However, as hardness tends to form hard scale that clogs the screen, simple flushes may not be sufficient. When necessary, remove the stainless steel cartridge and clean it with a brush and/or soak it in vinegar. Water softeners and whole house systems usually do not lower the TDS level of the water. An additional Reverse Osmosis system may be necessary for your drinking water. 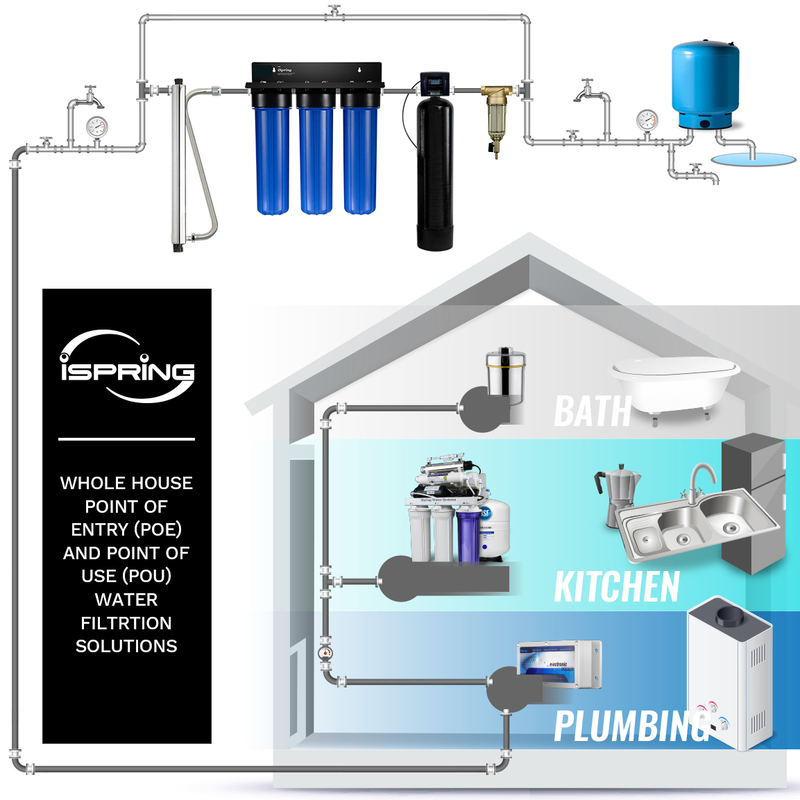 Please consult iSpring professionals prior to purchase if you are unsure of which product will meet your needs. 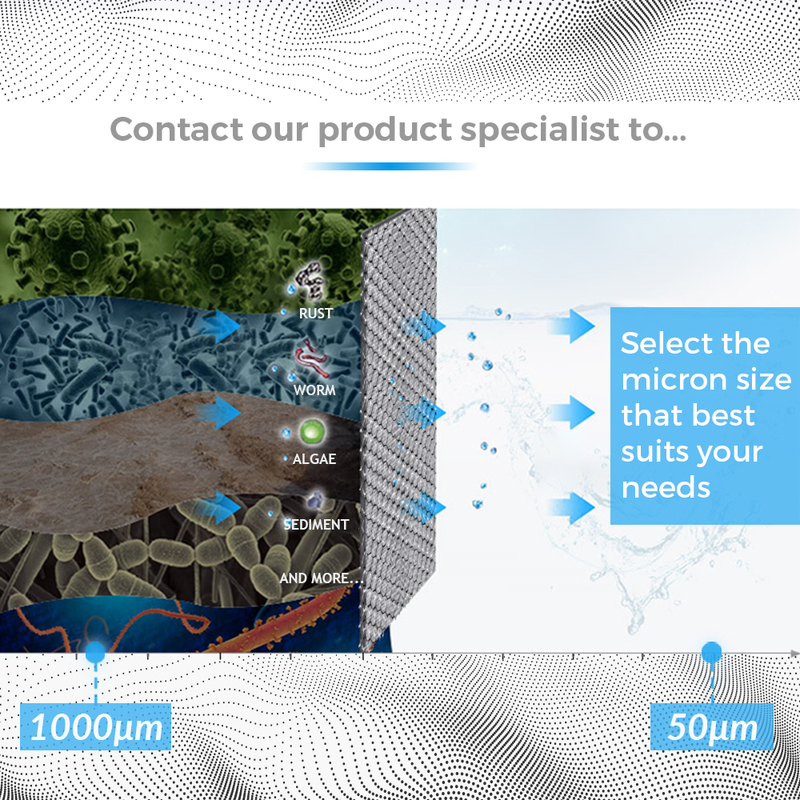 The WSP spin down sediment filter comes with a variety of options in micron size. 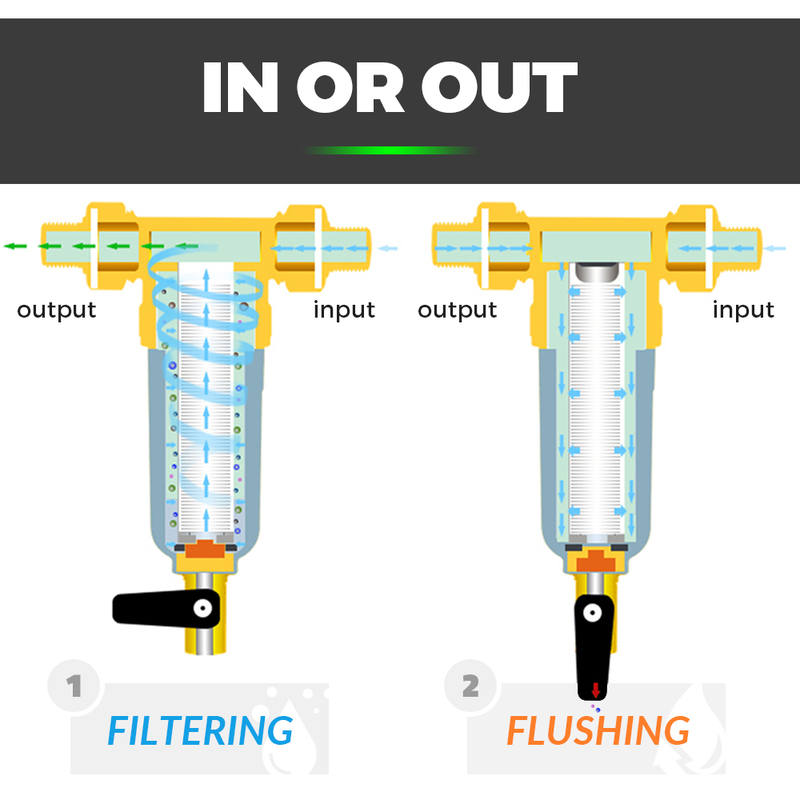 Smaller microns allow less through, but to get most life and efficiency out of your filters it’s important to only go as small as you need. 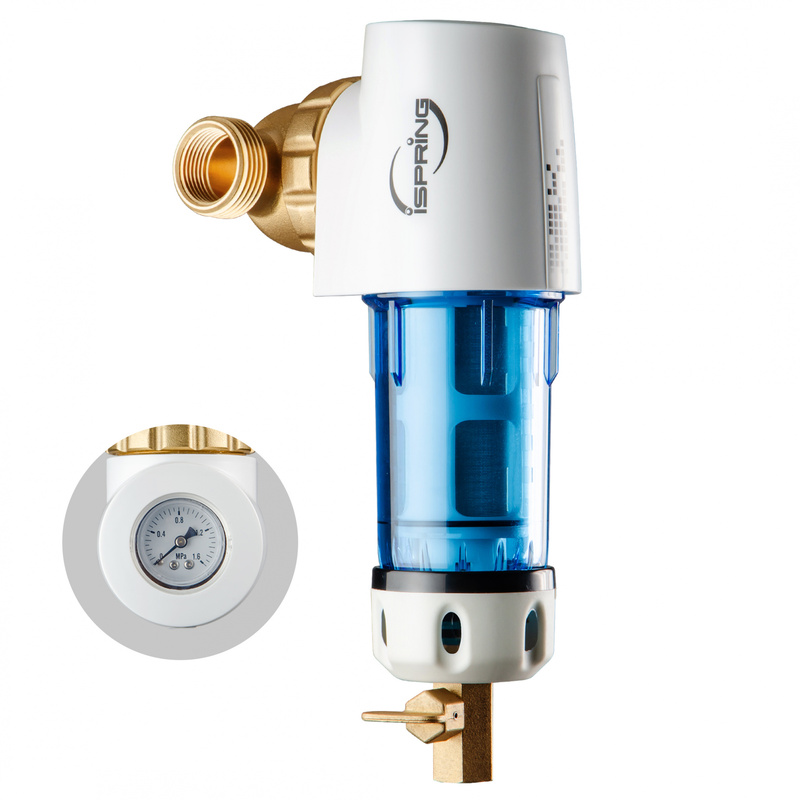 Differences in water quality and your water pressure affect the performance of the WSP. 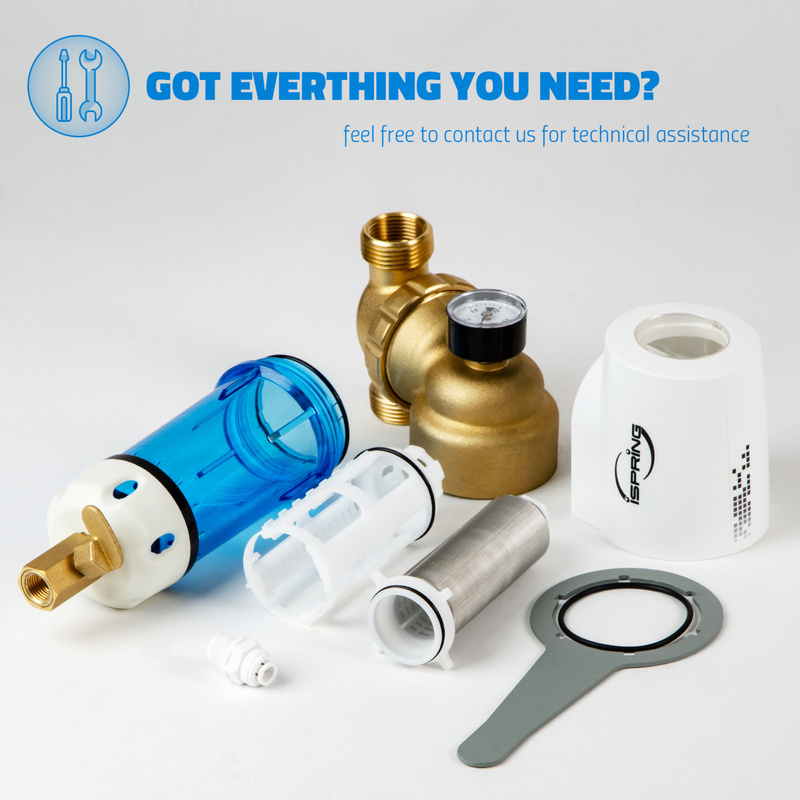 So contact our product specialist to get one of the best product recommendations based on your unique situation. Please avoid the mistake of using 'fine' filters for 'rough' water and causing the filters to clog sooner than expected. Well Water may start from 500 to 50 micron, while city water can start from 50 to 5 micron. 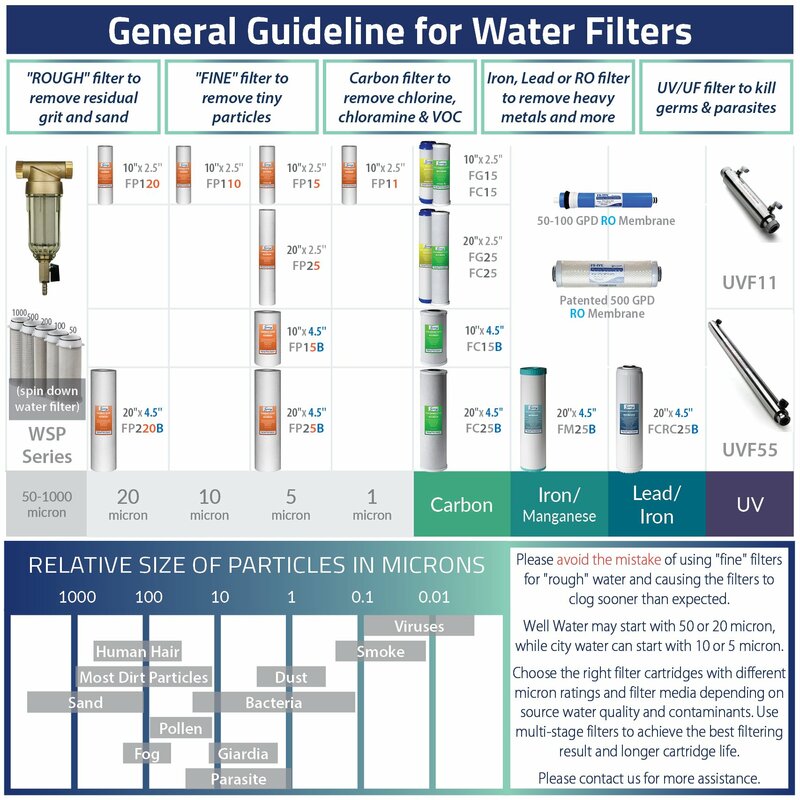 Choose the right filter cartridges with different micron ratings and filter media depending on source water quality and contaminants. Use multi-stage filters to achieve one of the best filtering result and longer cartridge life.